The event precinct and the finish line is the boat ramp end of the Marina Village. The start line is on the picturesque marina wall near the yacht club. See the precinct map under course maps. All trophies are hand crafted out of ex Mackay Sugar cane railway sleepers which provide a unique Mackay feel to the event. Trophies not collected within two weeks from the event will be forfeited. 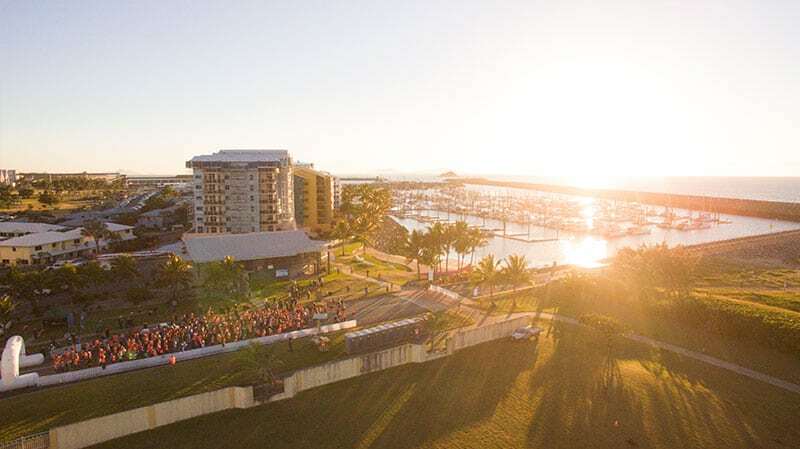 The Half Marathon and 8km races of the BMA Mackay Marina Run have an official cut-off time in which participants must complete their race. These cut off times are enforced to ensure that participants do not impede other races and that roads reopen to the public in accordance with the events permits. * Registrations will receive a t-shirt/singlet if registered by April 30. Registrations after that date will receive a t-shirt/singlet if available. See Enter the Event for specifics of each event.